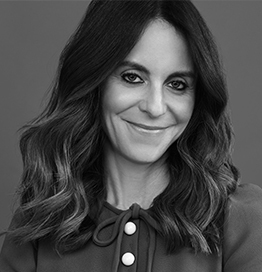 Alison Loehnis is the President of NET-A-PORTER and Mr PORTER, which together contribute more than 50% of the revenue of YOOX NET-A-PORTER GROUP, the world’s leading luxury fashion ecommerce retailer. Loehnis has built a reputation as a passionate advocate of the customer, driving innovative and creative ways of engaging and connecting with the Group’s 3.1million active customers. The business’ mobile-first strategy, and the pioneering NET-A-PORTER app, demonstrate how the digital retailer has been revolutionizing customer experience under her direction, and re-setting industry standards as a result. Presiding over a company where more than half of the leadership roles are filled by women, Loehnis has created a work environment that promotes diversity, creative thinking, opportunity and community. She is listed in the Business of Fashion 500, and was recently named ‘the most powerful woman in retail’ by The Daily Telegraph.